Peach Springs is the Route 66 town that is home to the Hualapai Nation government. Diamond Creek Road connects to Route 66 here. It's a 21-mile drive to the Colorado River and lower Grand Canyon from Peach Springs. Some Grand Canyon rafting trips take out at Diamond Creek on the Colorado River. It's a rough road that goes through a shallow wash at the end of the trip. Tribal permits to drive the road, available at the Hualapai Lodge in Peach Springs, are $15 per person plus tax with kids 12 and under free. Call 928-769-2227 for information. 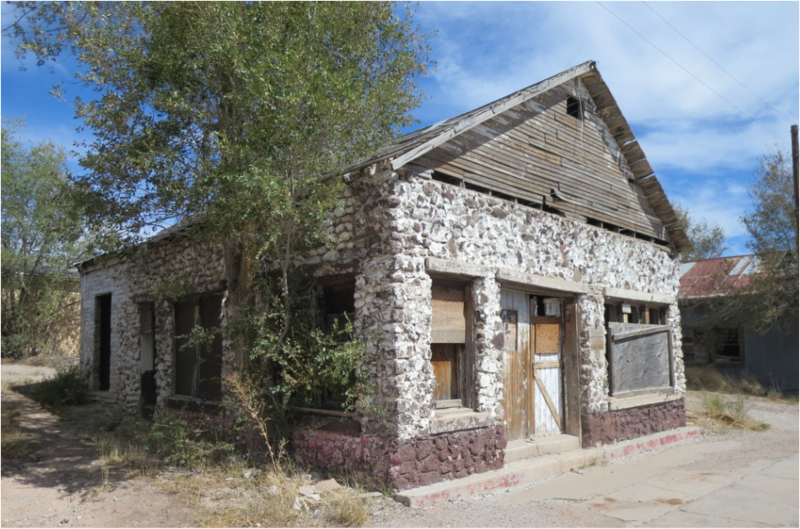 Peach Springs includes a dilapidated stone trading post built in 1928 by Ancel Early Taylor. It's just west of a convenience store. ​A former Shell gas station is abandoned on the south side of Route 66. The large building was built in 1932 by Oscar Osterman, who sold it to Frank Boyd in 1938, according to Route 66 writer Quinta Scott who interviewed Boyd's wife Beatrice. 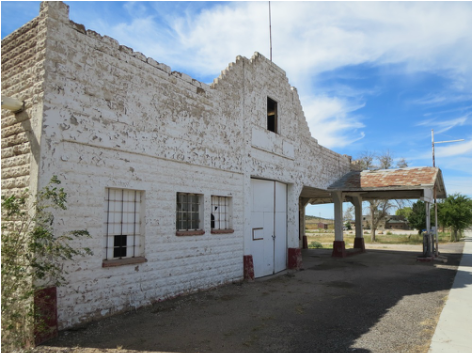 The Hualapai tribe has plans to renovate the historic garage and gas station in Peach Springs. Ancel Early Taylor built Peach Springs Trading Post of native stone in 1928 to replace a frame building. Born in 1887, Taylor died in 1987. 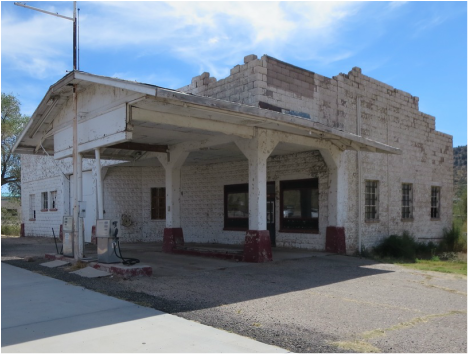 Hualapai Nation has expressed interest in restoring this closed gas station. The garage was added to the National Register of Historic Places in 2012.